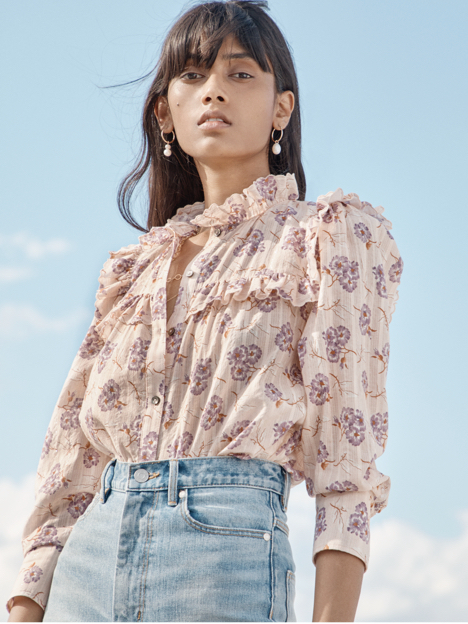 An effortless choice for laid-back days, this poplin cropped top is printed with vintage-inspired florals. An effortless choice for laid-back days, this poplin cropped top is printed with vintage-inspired florals. Done in our favorite spice hue of the season, this silhouette features a bateau neckline, cropped hem and revealing back cut-out that adds to its allure.